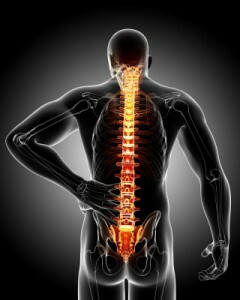 Spinal Tumor Symptoms and Treatment | Spinal Fusion Surgery from India. Primary tumors: These tumors occur in the vertebral column, and grow either from the bone or disc elements of the spine. 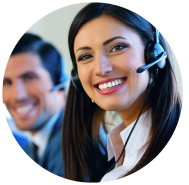 They typically occur in younger adults. Osteogenic sarcoma is the most common malignant bone tumor. Most primary spinal tumors are quite rare and usually grow slowly. 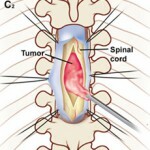 Metastatic tumors: Most often, spinal tumors metastasize (spread) from cancer in another area of the body . These tumors usually produce pain that does not get better with rest, may be worse at night, and is often accompanied by other signs of serious illness (such as weight loss, fever/chills/shakes, nausea or vomiting). Intradural-Extramedullary tumors grow within the spinal canal (under the membrane that covers the spinal cord) but outside of the nerves. Usually these tumors are benign and slow growing. However, they can cause symptoms of pain and weakness. Intramedullary tumors grow from inside the spinal cord or inside the individual nerves and often arise from the cells that provide physical support and insulation for the nervous system (glial cells). These tumors occur most often in the cervical spine (neck). They tend to be benign, but surgery to remove the tumor may be difficult. 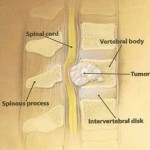 Why surgery for Spine Tumor Removal? To restore and preserve neurological function and provide spinal stability. There is vertebral bone destruction affecting spinal stability. World Class Minimally Invasive Spine Surgery in India at affordable cost: Our World Class hospitals in India are now preferred destination for thousands of international patients for comprehensive management of spine disorders from correction of birth defects, Treatment of spine degeneration, tumours and trauma, revision of failed surgery and surgical solutions for chronic infirmity and disability. Tumor is abnormal mass of rapidly growing cells without any physiological function. That means it does not perform any function for the body but derives its nutrition from the body. It can occur anywhere in the body. The cause is unknown. Those tumors that are found in and around the spinal cord are known as spinal tumors. They may be primary tumors whose cells of origin is the spinal tissue, or they may be secondary tumors which have spread (metastasize) via blood stream from some other focus in the body. Tumors are also classified as benign and malignant. Tumors that are confined to a particular area in the body are known as benign tumors. Those tumors that spread rapidly to various parts of the body are known as malignant tumor. A tumor can initially start as a benign one and can convert to a malignant one in a few cases.